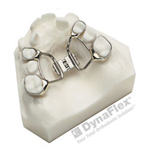 The Schwartz Appliance is a removable expansion appliance used on both upper and lower arch in order to expand the arch and create needed additional space for the permanent teeth. 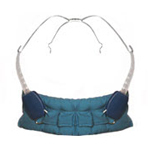 Treatment time in the Schwartz Appliance is approximately 12 months but will vary based on the individual needs of the patient. 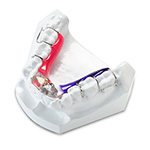 If both the upper and lower arches require expansion, we may use the Schwartz Appliances for both arches to create space when teeth are crowded. 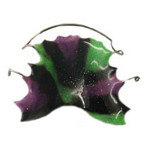 The Bite Plate is designed to correct a deep bite (when the upper front teeth come down too far over the lower front teeth). Initially, there may be an adjustment period and speech may be affected for a short period of time. When wearing your bite pate, it is normal if your back teeth do not meet all the way initially. It may take a few weeks to completely adjust to your new bite plate. 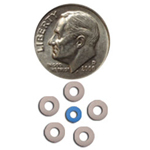 For optimal results, the bite plate should be worn 24 hours a day and only removed for eating and brushing your teeth. 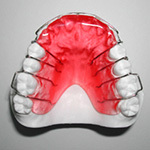 Depending on the amount of correction needed, the bite plate may be worn for 6 to 12 months. 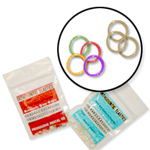 Essix retainers are clear retainers that are worn following the removal of the braces. They are popular because they are nearly invisible. 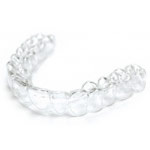 They are custom made for each patient following the removal of the braces or completion of Invisalign treatment.